Is SSMS not displaying unicode characters? 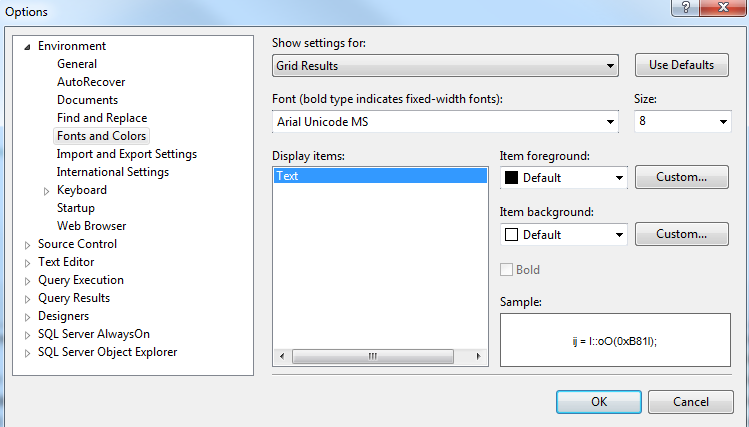 Here you’re able to change fonts for many windows (including ‘Grid Results’). Also, you can click ‘Use Defaults‘ to (re-)set all settings to default values. This entry was posted in SQL Server 2005, SQL Server 2008, SQL Server 2008 R2, SQL Server 2012, SSMS and tagged SSMS. Bookmark the permalink. 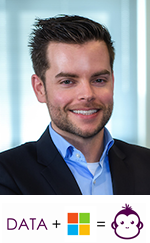 ← Finding colors for SSRS: Color Brewer 2.0!